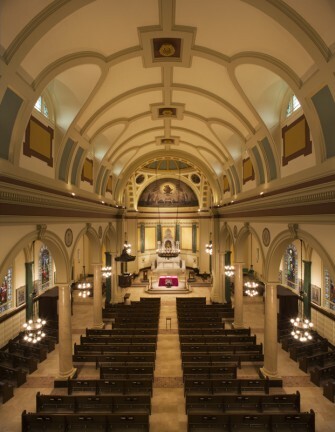 The appearance of St. Joseph’s Church was of great concern to the parish. Masonry cracks went through the structure as if it had suffered an earthquake. Through the efforts of a study made by L | L+B the problems were identified, the causes exposed, and a solution found. The church went through an exterior restoration that included a new roof, flashings, masonry pointing, new-protective glazing and painting. 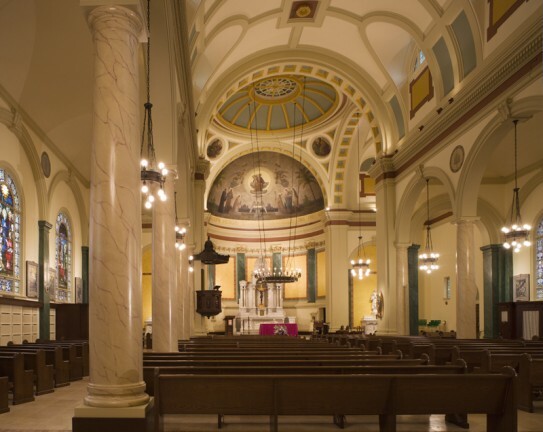 The design of the interior focused on enhancing the religious experience within the Church. A new color scheme was chosen to compliment the stain glass artistry. 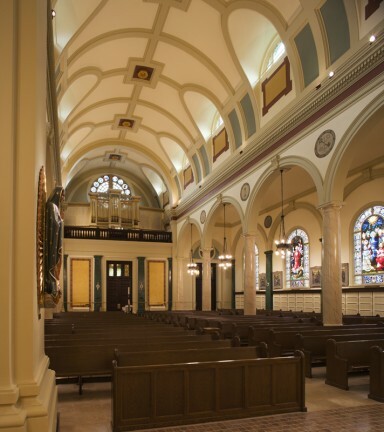 Reconstructive work was completed on the pews with emphasis to follow a new flooring configuration that reflected the crucifix form. 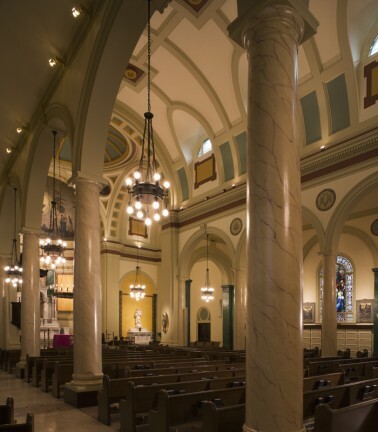 New lighting fixtures were added to illuminate the religious symbolism and rich detail within the Church, and the narthex was refinished to create a warm and inviting atmosphere to welcome the community off the street.